Beamline Insulators - National Electrostatics Corp. 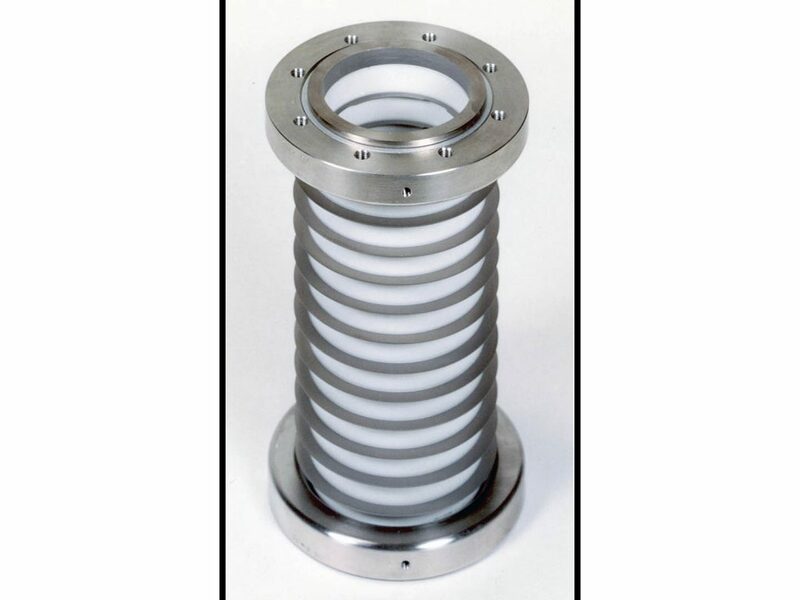 The NEC beamline insulator provides complete electrical isolation with ultra-high vacuum compatibility on beamline systems. 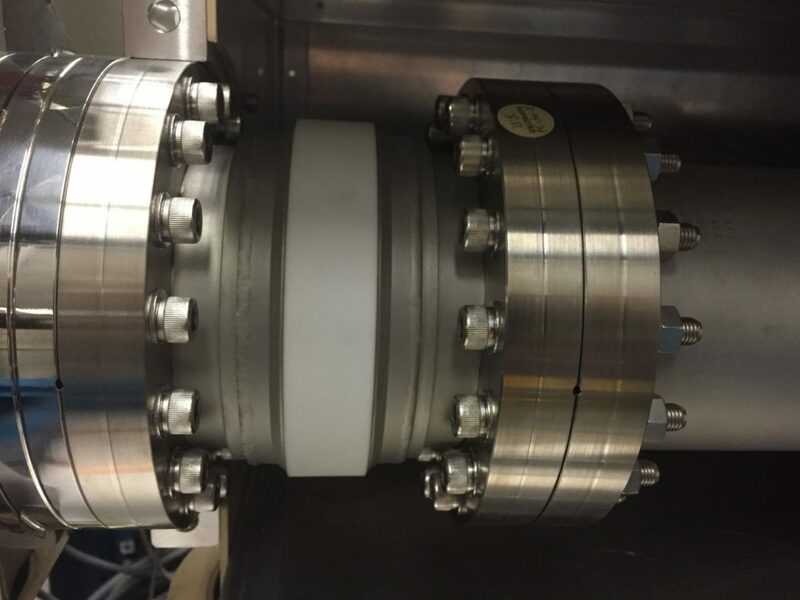 These beamline insulators have been very effective in isolating sensitive detection equipment from electrical noise that may be generated by very high voltage ion beam accelerators. Although there is no voltage specification for these insulators, customers have reported maintaining a potential difference of 6–7kV in clean, dry, ambient air. 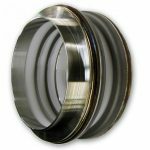 These beamline insulators also have been used for a wide variety of special applications that require exceptional mechanical strength and the ability to withstand thermal shock. The metal/ceramic bond is accomplished by a unique metal diffusion process for bonding alumina ceramic to titanium. The assembly has undergone rigorous testing and has consistently been found to be leak tight. 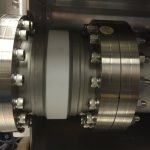 The standard beamline insulator has a 4″ O.D. steel ring at each end and a single insulating gap of 1/2″ width. On request, a 6″ O.D. version can be provided, as well as multi-gap assemblies of either version. 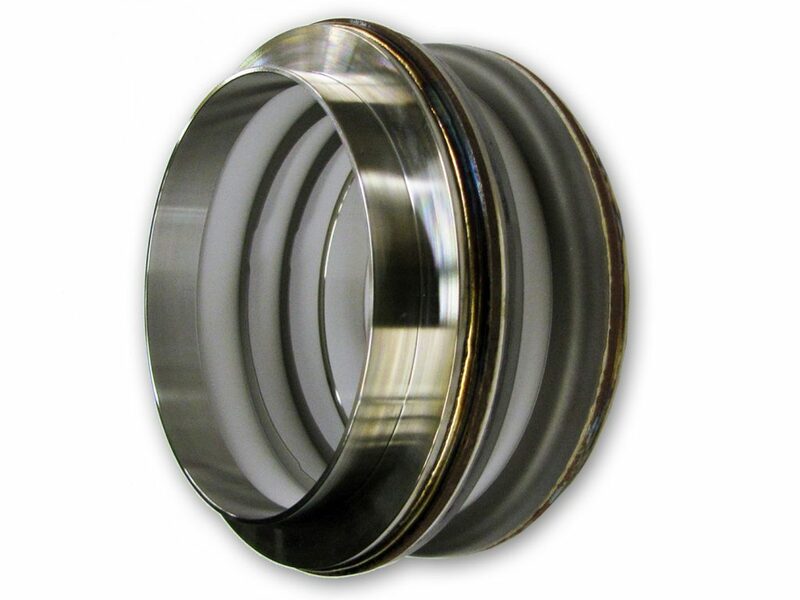 A wide variety of end flanges are also available in addition to weldable tube ends. Please contact NEC for more information on applications and available design configurations.